Can My Ex-Spouse Move Away With Our Children? 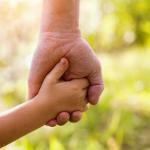 You are here: Home / Blog / Can My Ex-Spouse Move Away With Our Children? In most cases, your ex cannot relocate with your children without your consent. One of the worst parts about getting a divorce is seeing your children less. For those of you without custody, it can be even worse. Perhaps the worst outcome of all is your ex wanting to move away with your children. 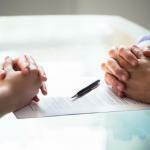 Luckily, with the help of a St. Louis divorce attorney, that shouldn’t happen. Many states have a range in which one spouse can move the children without giving notice. A typical amount is 50-100 miles. Missouri is different in that your spouse won’t be able to relocate at all without notifying you, even if that means going just down the street. While strict, this provision allows you to know where your children will be living at all times. 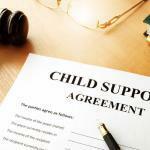 The custody arrangement is another factor that affects whether or not your ex can move. If you have partial custody over your children, there is very little chance that your ex will be able to take them somewhere else. Even if you don’t, and only have regular visits, there is a good chance that this is the case. Depending on the circumstances, your ex must give you formal notice before moving. What this means is that a phone call or a casual letter does not suffice. Instead, it must be an official legal document. This file should include the proposed destination, the reason for the move, and a visitation plan. Additionally, it must be filed at least 60 days before the move date. You will have 30 days to object to the move after your ex proposes it to you. After doing so, you could end up having a relocation trial. The court treats staying in the same location as the norm, so your ex’s legal team will be the one that has to argue for the move. Essentially, they must prove that the relocation is in the children’s best interest, rather than an attempt at revenge against you. If your ex is trying to relocate with your children, you no doubt want to understand your legal rights. At The Betz Law Firm, our goal is to assist families in need to navigate their way through those important, life changing events. Whether it be a divorce, relocation issues, or questions of paternity, our team of compassionate lawyers will be at your side, offering our guidance and support. Contact The Betz Law Firm today for a free 30 minute phone consultation by calling (314) 801-8488 or by filling out our online contact form.